"I am resolved to meet the morning of this new day with faith and hope and courage, and thus strike hands with all the inner forces of energy and power. "I am resolved to realize and to remember that thoughts are like forces, that like attracts like; that thoughts of strength build strength from within and attract it from without, and that courage begets success. "I am resolved therefore, that as life always and inevitably follows the thought and as it is the man or woman of faith and hope and hence of courage who is the master of circumstances, to sit as master at the helm and thus determine what course I take, what points I touch, and haven I reach." 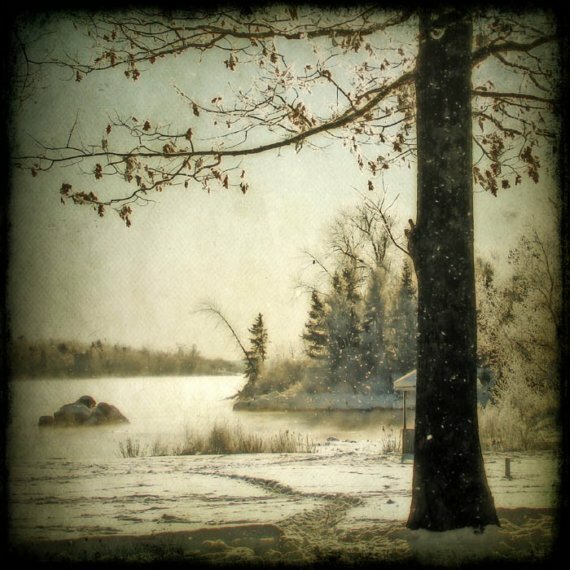 Vintage Winter courtesy of Jude McConkey Photography. Prints are available in Jude's shop on Etsy.